Rather than assume the role of either a Socialist or Imperialist spy, you instead operate for the shadowy C.O.U.N.T.E.R agency, who appear to be performing the just and noble act of sabotaging both superpower’s attempts at nuclear supremacy. The DEFCON meters went down more often than they went up. 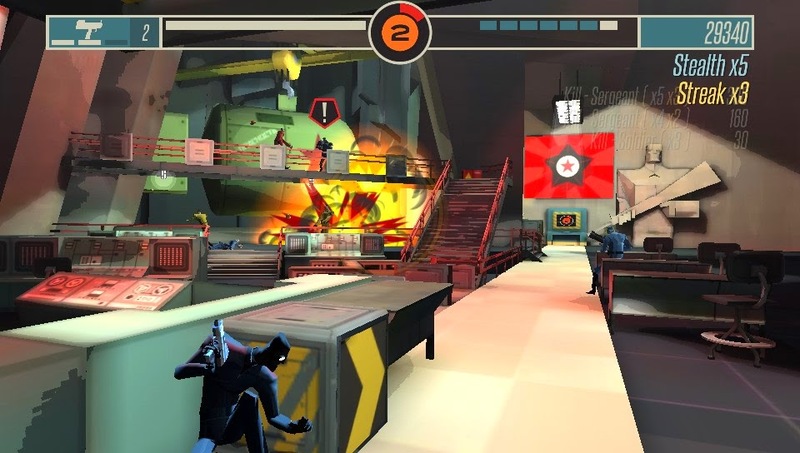 In CounterSpy, you choose to undertake missions, operating in either Socialist or Imperialist territory, each mission will have their own rewards, such as; the number of weapon blueprints, officers and launch plans to be found. In addition to its own risks, illustrated as the DEFCON meter, partake in too many operations against one faction and more acutely, perform badly in these operations and you’ll raise the that faction's DEFCON. Raise the meter all the way and the world’s greatest fears will be manifest, which is ostensibly what you’re trying to prevent. It’s an enjoyable enough system, however the easy gameplay removes any real semblance of true difficultly or tension. Furthermore, a perk can be purchased before every mission to lower the DEFCON by one level, which resulted in a rather bizarre gameplay experience. If anything the game became substantially easier as the campaign progressed, due to increased money and resources – rather than the escalating tension and risk that one might anticipate. Perhaps CounterSpy’s greatest strength is the sense of style that pervades all aspects of the game, the sharp, high contrast graphics are certainly pleasant. However, it is the details that truly make it stand out; propaganda posters, warning signs and towering statues all serve to add essential flavour to the otherwise mundane bunkers and silos you’ll traverse across the globe. Though it is billed as a stealth game, I found the stealth to be just another tool in the reasonably substantial armoury of the C.O.U.N.T.E.R agency. I would often use stealth right up until I’m in position to clear the room of enemies – at which point the less-than-silent weapons tended to be equipped. Though to be fair this is the method I adopted in virtually all stealth action games. C.O.U.N.T.E.R never did teach me to aim down the sights. The combat – which I inevitably initiated with every guard possible – is enjoyable but it never evolves in any interesting ways, headshots are always the fastest way of dispatching enemies. Though primarily a side-scroller, the perspective shifts when you enter cover, allowing you to shoot down hallways and across rooms. It is a nice change of pace from the side-scrolling and visually quite impressive, it also becomes slightly more necessary to your survival as you encounter harder, tougher enemies. However, the mushy and inaccurate aiming does take some adjusting to before you’ll be able to headshot an entire squad or shoot rockets out of the air. 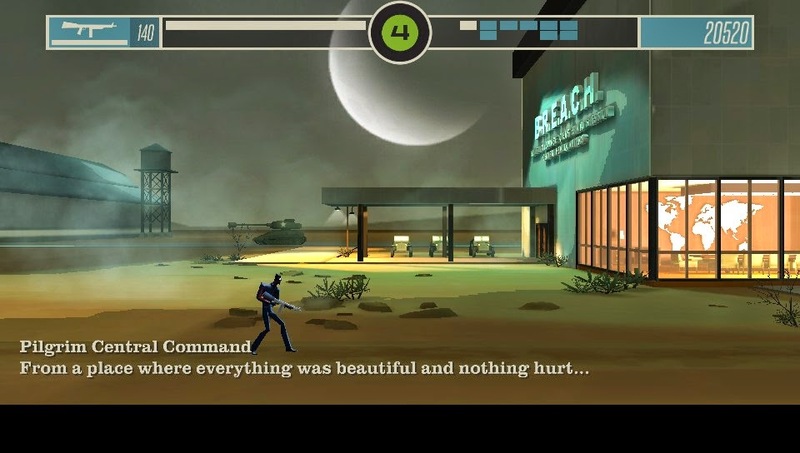 Counterspy boasts procedurally generated levels, in theory no two levels should look the same, a good thing surely? Well not quite, the levels may be different but a lot of the rooms will be identical, both in appearance and layout, thus the net effect is a series of levels which rarely stand apart from each other. I chose to play and review this game on the PlayStation Vita, though it is a CrossBuy product, meaning that this purchase is unlocked on PlayStation 3 and PlayStation 4 as well. Unfortunately, I suffered some very noticeable and very regular frame rate hitches, which occurred like clockwork upon entering areas with perhaps four or more guards. CounterSpy certainly won the arms race for style and beauty, unfortunately this came at the cost of the gameplay and the size of the experience. The game became disproportionally easier as more resources were gained; so there were no meaningful ramifications to my actions in the overall cold war meta game. When coupled with the repetitive room layout and the predictable enemy A.I. that never pose much challenge, the game becomes a lot less compelling. 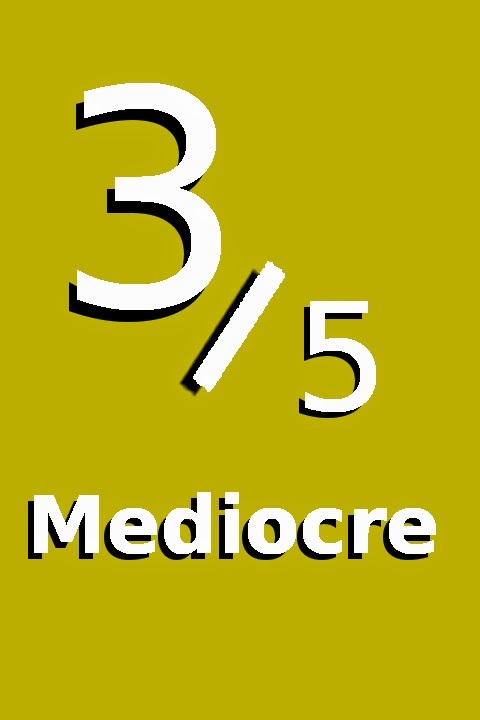 The game is only two or three hours in length, which is perhaps disappointing, if it had lasted much longer however, the repetition of you actions and environments would have fast become unbearable. Naturally, those seeking to locate all of the upgrades and weapon blueprints will have a somewhat longer experience. CounterSpy’s problems middling rather than offensively bad, but there is very little to offset these numerous niggling flaws, making it a forgettable experience.